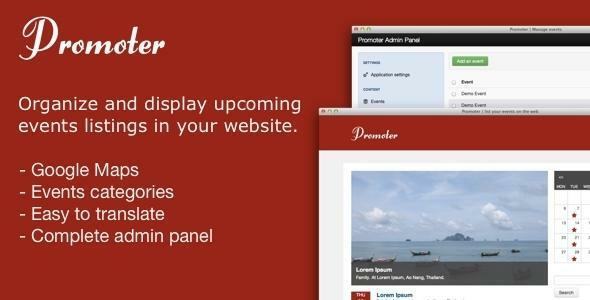 Promoter is a calendar based PHP script that allows you to create events listings websites. Your visitors will be able to browse the events by category, using the calendar or subscribing to the RSS feed, thereâ€™s also a search box which allows to search for specific events. The script is SEO friendly as it uses user-friendly URLs and automatically generates a sitemap.xml for search engines.